HEATRONICS LTD are specialists in PLUMBING, ELECTRICAL, BATHROOM, KITCHENS and various other building works. We intend to be very competitive in our local community in Catford and surrounding areas. We guarantee to beat your previous quote. We are NIC EIC REGISTERED ENGINEERS. For peace of mind we are also insured by up to 2 MILLION. Our engineers have previously worked for EDF, ensuring that we are trained to the highest possible standard. Don’t just settle for a builder for your most important things in your home such as electrical works as when it comes to the two is no longer general building/builders work but a engineers work. Not to worry we are here to help and we understand the importance of the two hence why we provide both fields in-house, as we can’t do one without another. We are extremely efficient engineers and pay particular attention to the fine details of our clients requests. We pride ourselves on offering well priced, quality work which results in satisfied customers and recommendations. 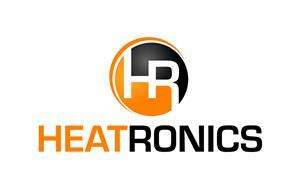 Heatronics has grown from a family run business to employing an additional five employees. Each one of our employees proudly carries our ethos and ensures they carefully meet customers requirements and demands. We constantly strive to ensure our clients are happy with the services we offer and believe our customer rating of 9.6/10 showcases this. Please see our website for preparation information before starting a project. How-to-videos. For our hourly rates please see our website.